CleanUpMemory helps you clean up memory in an easy way: just one click. 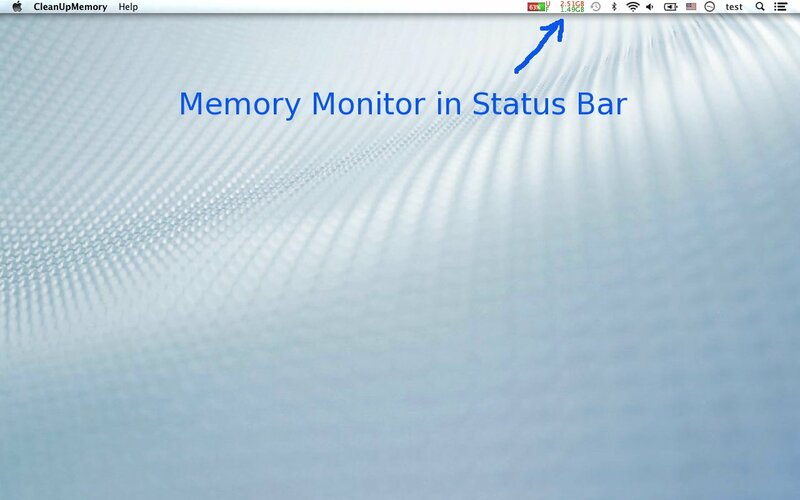 If you want a system monitor (cpu, memory, disk, network), please take a look at iStats. It's also can clean memory. Please send email to leafapp@hotmail.com, we'll reply ASAP. CleanUpMemory is an inconspicuous and intuitive to use OS X app that helps its users free up RAM memory in no time. To start releasing memory using the CleanUpMemory tool, you just have to click the "Clean Memory" button. Furthermore, CleanUpMemory also comes with a built-in status bar memory tracker that will help you keep a close eye on your Mac's free memory at all times.